People who decide to join the military put themselves in position to experience many kinds of trauma. We’ve written on numerous occasions about the prevalence of post-traumatic stress disorder in the military. It’s a problem that can derail the course of one’s life long after soldiers leave the armed forces; left untreated, the repercussions are severe, those and afflicted regularly turn to drugs and alcohol to cope with their symptoms. Mental illness going hand-in-hand with other forms of mental illness is understood well in the field of medicine. People with alcohol and substance use disorders are at high risk of developing co-occurring mental health conditions. Individuals with mental health disorders, such as depression or bipolar disorder, are at a higher risk of developing addiction compared to people who don’t meet such criteria. With that in mind, you’d likely think that branches of the military would deny enlistment applications from people whose medical history includes mental illness. 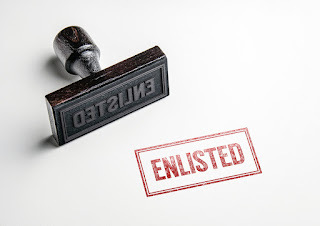 Historically, your assumption would be correct; however, to meet Army recruiting goals, exceptions will be made for specific people living with mental illness. People living with treated mental illness, who manage their recovery with a program of recovery, can lead fulfilling and prosperous lives. There is nothing that a person in recovery can’t accomplish. However, when people undergo trauma (like that regularly experienced in the military), it can have a devastating effect on one’s program of recovery. That’s not to say that people with treated mental health conditions shouldn’t be given the honor to serve their country; instead, great precautions must be taken to ensure the safety of individuals and their peers they fight beside. The U.S. Army recruitment goal is 80,000 enlistees through September 2018, according to the article. It’s likely that this report will lead to a serious debate over the decision allow mental health waivers. If you are struggling with a use disorder and a co-occurring mental illness, such as PTSD, please contact Hope by The Sea. Your recovery is dependent on treating both conditions. We specialize in the treatment of patients with a dual diagnosis and can help you begin the life-saving journey of recovery.